Choosing a style of font for your brand has a larger impact that you may initially think. In a world where snap decisions are constantly made, you want your business to stand out against the rest. There are an array of options for font choices, making it overwhelming if you delve in head first. To help alleviate some of the pressure, let’s go through some ground rules of what to consider when you choose a font for your business. At House of Printing, we provide an array of printing services, from design to high-quality products and equipment, to direct mail marketing services. Whatever your needs are, our Burtonsville print shop has what you need. We even provide free delivery to the Washington and Baltimore areas. Potentially the most important part of deciding the font for your brand is knowing what you want your brand to portray. Do you have more of a straightforward business style, or a fun-loving approach? Determining the goal of your brand will be the first way to help sift through some fonts that don’t fully embrace its purpose. Once you’ve decided what your brand wants to stand for, you can look into some categories to help eliminate the ones you don’t like. Here are a few of the categories to consider. These fonts are also referenced as the cursive fonts. They are commonly used with brands that are looking for a more feminine, creative, or elegant appeal. While this may be a great logo font or the style for a company name, use this infrequently. Having a website or even an entire business card with this type of font throughout is not a good idea. When script is used in a paragraph form, it’s less likely that people will be able to read it with ease. Serif fonts are known to be a bit more classic, or traditional in their style. The font is generally used to show strength in confidence, authority, and overall reliability. Some of the font style names are Egyptian Slate, Memphis, Georgia, and Archer. These options can be great for a business that is straightforward and traditional in their style. The fonts have what are often called little “feet”, which is what gives it the traditional feel affiliated with the font style. These fonts are unique and quirky. For business that are looking to catch eyes and be a loud contrast to generic fonts, these could be considered. While they may be fun and unique, it’s important to use these fonts sparingly and individually. Pair these font headers or titles with a more basic, classic font to balance it out and make it easier to read. Unlike their cousin, the serif font, this font does not have the “feet.” Instead, these fonts are clean cut and generally have a more modern aesthetic to them. 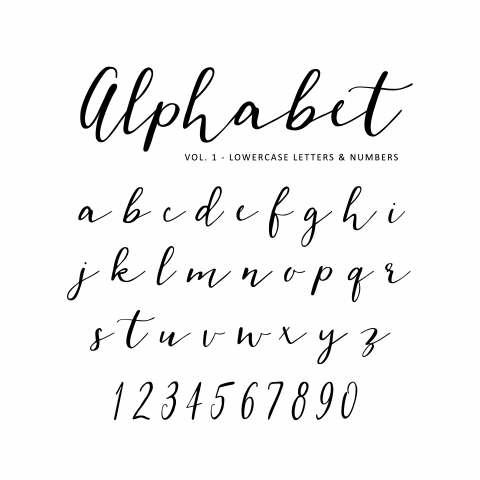 This is a great option if you are looking for a simple, easy to read font for your brand, website and business cards. Many large companies use sans serif in their logos, such as Facebook and YouTube. Also known for its versatility, sans serif is a great option for reading in smaller print (such as a flyer or business card). When designing your business cards, be aware of how many font styles, and how much text in on the card. For more information on designing your business card, reference our previous blog here. You will want to keep in mind what age demographic you will be targeting as well. If you know your audience will be a bit older, using a clear, thicker font that is a big larger will appeal best. At House of Printing, we supply all of your printing needs. Whether you’re looking to print business cards, posters, flyers, brochures or stationary, we can meet all of them and more! We provide templates and dies that are vegetable-based, alcohol-free and non-metallic to protect our communities air and water. Visit our website today to learn more about our printing services, and choose House of Printing for your printing needs! Proudly providing free delivery to the Washington and Baltimore areas.